First, we keep having beautiful days! They are lovely. I love it. On the flip side we're still getting into freezing temperatures at night which has annoyed me as I have three potted plants now. I've given up on the herbs from last year and the lettuce seeds I had outside (I can't keep them wet enough). 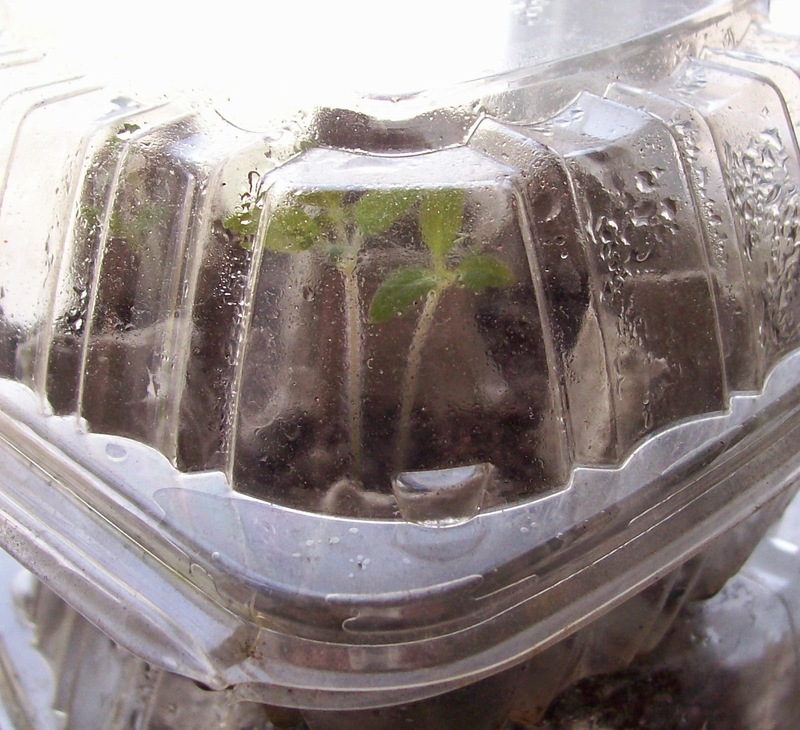 I do have "globes" for the living plants which are basically plastic jugs, cut in half and put over the plants at night. We then throw a moving blanket over the whole set up and keep the pots close to the apartment itself. So far it's working. Just have to remember to do this tonight as there is a frost advisory. I haven't had much happen in the garden department. We did buy plants last week and I lost some sprouts, gained some others, and am trying desperately to get some Brandywine Tomato Sprouts...period. The old seeds (5-10 years) did sprout, then they got mold and died. I tried again. Nothing. Something else sprouted in the container so a few days ago, I just moved the old seeds and put some High Mowing ones in. The other High Mowing container has a sprout as of yesterday (What? That's been sitting LONGER) and I have Cherry Tomato Sprouts. It all confuses me and I'm being sort of lazy because I've been (yep) sick off and on the last few weeks and busy, busy, busy (which probably caused the sick last week). But hey, so far so good. I lost a broccoli sprout (not sure how that happened right now), gave up on a few others and keep trying to get Brandywine Tomatoes. Some random weeds in a seed pod that I'm waiting to see what exactly they are before I say "good bye" to them. The Farm Variety Broccoli. We love their broccoli and the price was right so I'm giving it a try. 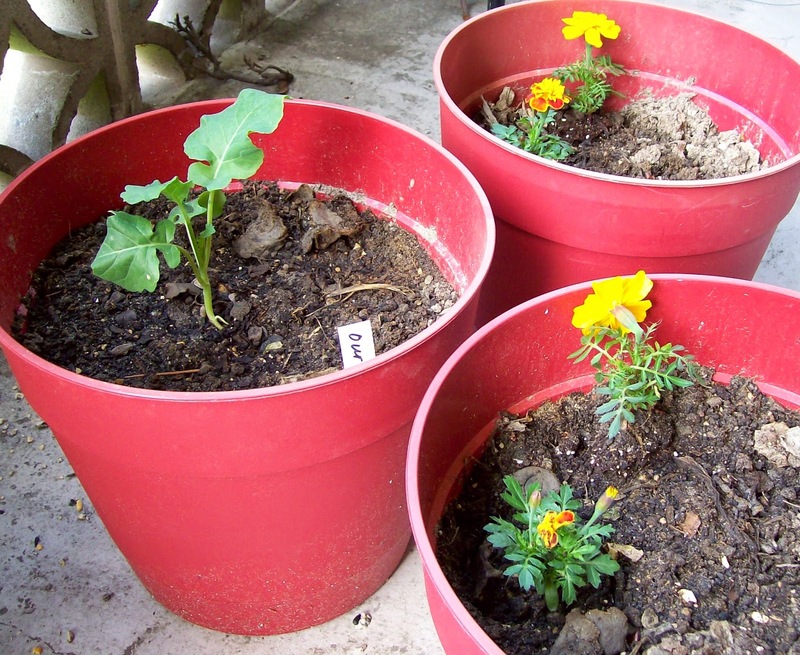 Marigolds (to be planted with tomatoes. Some are outside, some aren't). Snap dragons (they are just pretty). I am impatient at gardening, but I do like it.